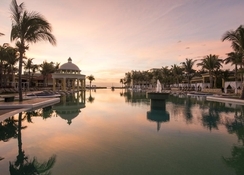 Settled upon the white sands of Playa Paraiso beach, the Iberostar Grand Paraiso is a luxury adults only resort offering a calm ambience for couples, friends and solo travellers to enjoy. The hotel's 5-star facilities include a selection of outdoor swimming pools, a whirlpool, a gym with fitness classes, a spa, sun terrace and more. Influenced by a blend of medieval, contemporary, European and American styles, the hotel's interiors are refreshing, and the guest rooms offer a comfortable stay amid gorgeous surroundings. The hotel's dining scene offers up a main buffet restaurant, plus a selection of themed venues featuring a variety of International cuisines. 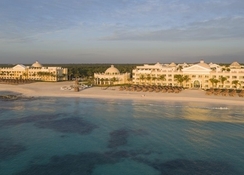 Just a few steps from Iberostar Grand Paraiso are the mesmerising sands of the Riviera Maya, which extend over a crystal clear shoreline - great for paddling, diving and watersports enthusiasts. 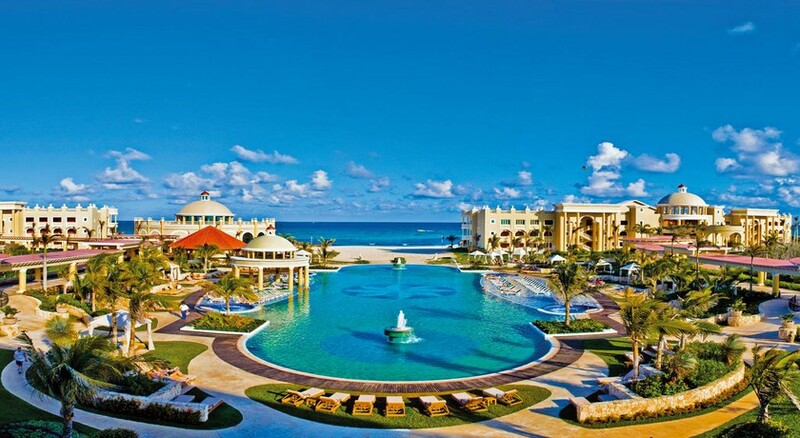 Equally, a couple of miles away you'll find the lively resorts of Cancun, including popular Playa del Carmen dotted with shops, restaurants, bars and beaches. 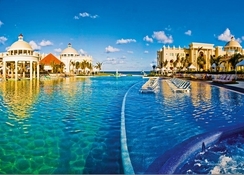 The Iberostar Grand Paraiso sits on the beautiful Riviera Maya, on the idyllic Playa Paraiso shoreline. 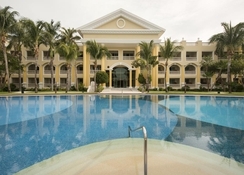 The popular tourist resorts of Cancun, including lively Playa del Carmen (25km) are close by to the hotel for those that wish to explore the surrounding area. Those searching for culture can visit Tulum, which is loaded with ancient archaeological ruins. 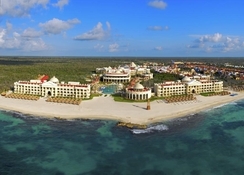 The closest air terminal is Cozumel International Airport, 27km from Iberostar Grand Hotel Paraiso. 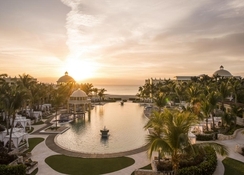 All the 310 rooms in the Iberostar Grand Paraiso are furnished with rich accents and offer wonderful vistas of the ocean from the balcony or terrace. Each room is fitted with air-conditioner, satellite TV, a minibar, espresso maker, iron & board, en-suite bathrooms and a balcony or terrace. Free Wi-Fi is accessible. Certain conveniences may be charged locally. Guests can enjoy flavours from all corners of the world at the hotel’s spectacular restaurants, which serve cuisines such as Italian, Japanese, Mexican and International. A continental or buffet breakfast is served each morning at the main restaurant. Unwind in one of the on-site bars including the Theatre Bar and the Pool Bar where guests can enjoy their drinks amid a more casual atmosphere. The hotel boasts lush outdoor gardens that fringe the huge lagoon-style swimming pool, which has dedicated areas for sunloungers. There is also a relax pool for those looking for some peace, and a heated indoor pool with a retractable roof. Sink into the soothing waters of the four whirlpools in this area, or just chill out with a drink from the Pool Bar. Those who are looking to treat themselves to some pampering can visit the hotel’s impressive spa, equipped with a Thalasso pool, whirlpools and a steam room. Treatments include various massages and body therapies. The hotel offers lively entertainment during day and night, whether you’re looking for sporty activities or to sit back and enjoy a live show in evenings. Sports on offer include basketball, volleyball, shooting, archery, water polo and various water sports. The property offers water sports at the Puerto Morelos beach.